Doctor Who: Tip Of The Tongue | Warped Factor - Words in the Key of Geek. 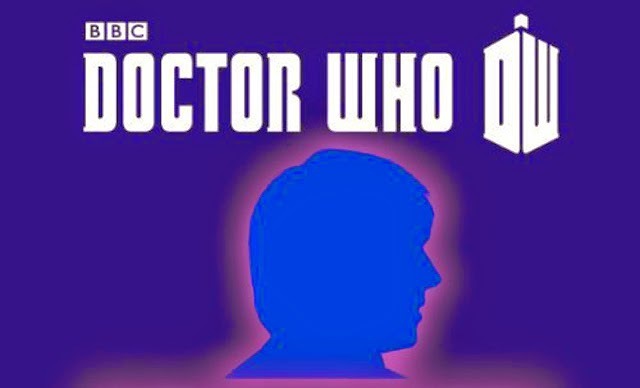 Christopher Morley looks back at the Fifth Doctor's entry in 50th Anniversary short story collection. This article contains spoilers for Tip of the Tongue. 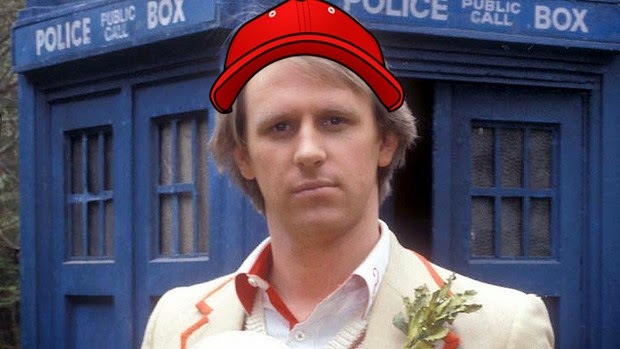 The Fifth Doctor short story Tip Of The Tongue is notable for several reasons. Firstly, it's Doctor-light- he appears seemingly only when completely necessary. 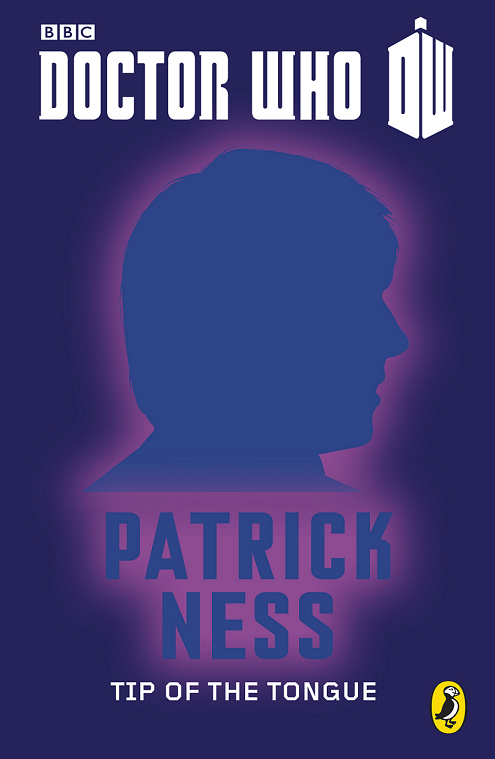 Secondly, its writer Patrick Ness is American. Thirdly, that allows him the chance/right to critique a few of the more unpleasant corners of society in the land of the free & home of the brave circa 1945. Time for this most English of Doctors to cross over the pond and see life during wartime for himself! It's 1945 and the TARDIS arrives in Temperance, "Maine, if I’m not mistaken" according to the Doctor's nose after sniffing the local air. "We must have a regiment of American workers, who will learn the German language, love the German people, work among the German children and young people until we get them to love clear brains better than beer. There must be others who for the love of country and dear humanity will learn the Scandinavian language and be real neighbors to the many people of this nationality who have come to make homes in America. Again others must learn the French and Italian and various dialects, even, that the truths of personal purity and total abstinence be taught to these who dwell among us. We must feel it a duty to teach these people the English language to put them in sympathy with our purposes and our institutions." As you may be able to tell, they weren't so keen on alcohol! The Doctor somehow isn't tempted to take in a game! "People often ask me, "What is the difference between baseball and cricket?" The answer is simple. Both are games of great skill involving balls and bats but with this crucial difference: Baseball is exciting, and when you go home at the end of the day, you know who won. I'm joking, of course. Cricket is a wonderful sport, full of deliciously scattered micro-moments of real action. If a doctor ever instructs me to take a complete rest and not get overexcited, I shall become a fan at once. In the meantime, my heart belongs to baseball." Well here's one Doctor who might just recommend an innings, but back in 1945 he's more interested in a strange new craze sweeping the kids of small-town America. The Dipthodat have arrived about a hundred years too early! Well, at least three of the ''very tall upright sheep'' with ''the faces of some kind of giant fish. But also mixed with a squirrel. And a pumpkin'' have. Their integration into society has coincided with a rise in popularity for Truth Tellers, actually more accurately called Veritans - tiny pocket sized aliens enslaved by the Dipthodat & put to work using their gift for honesty to ''stir up unrest among the locals, and feed off the negative energy''. Slavery is illegal on every world between Earth & the home of the sheep-things too. But arguably Tip Of The Tongue isn't just about that form of the practice. Jonny Heftklammern, son of an Anglicised German Jew, works shifts, and indeed seemingly every hour God sends, at Mr Finnegan's diner, while his friend/ later love interest Nettie Washington, is a mixed race girl initially working as a mechanic at the local garage. Both are supporting mothers whose social status is presented as a stumbling block to a decent wage. The war is everywhere- husbands, sons & brothers have enlisted. Among their number are Jonny's father & Nettie's Uncle Paul. Mr Heftklammern could be ''over there in Europe, fighting people to whom they were probably distantly related'' while his son dreads getting the call-up to follow in his footsteps. The Truth Teller he acquires voices this fear for him in a private moment in the diner's bathroom . ''I am afraid that the war will not end in time and I will be shipped off to fight and I will die''. Seemingly the only family in the whole of Temperance who aren't affected are the Acklins- who own the general store from which everyone else is acquiring Truth Tellers of their own. It seems everyone's in fear of them and their wealth/influence! Their daughter Annabelle, a classmate of Jonny & Nettie at the local high school, isn't afraid to flaunt it. '' The first with every fashion that migrated its way up from the big cities''. It's the Truth Tellers who reveal just how much she and her family are feared, even Annabelle's friends being secretly terrified of her. No surprise then that she and her family are actually the three Dipthodat, the Doctor placing them under arrest & freeing the Veritans. Home run in the extreme!